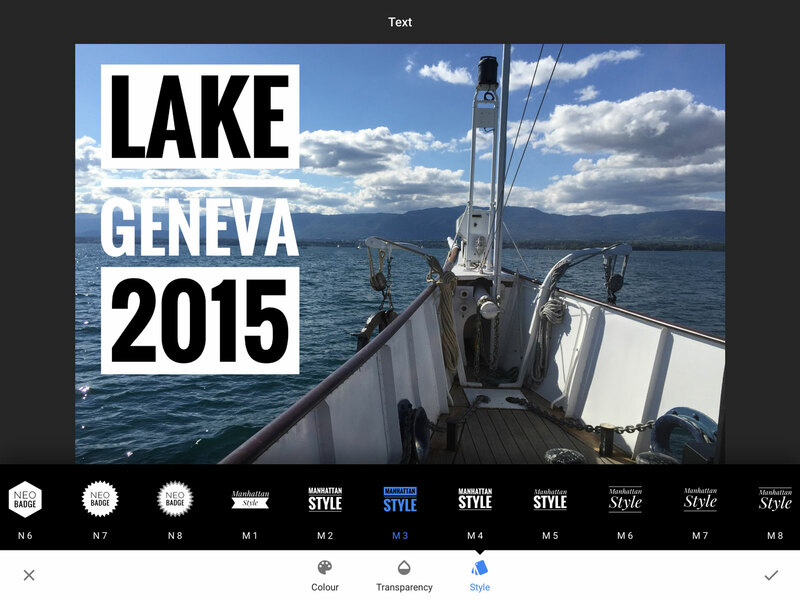 Snapseed 2 is the latest version of Google’s free photo-editing app for mobile devices, including smartphones and tablets, iOS and Android. It’s the mobile version of an application first made for desktop machines by Nik Software and then taken over by Google along with the rest of the Nik applications. It’s been out for a while, so this Google Snapseed 2 review isn’t news exactly, but it is a chance to take a close look at a mobile app which is not only free but also spectacularly good. 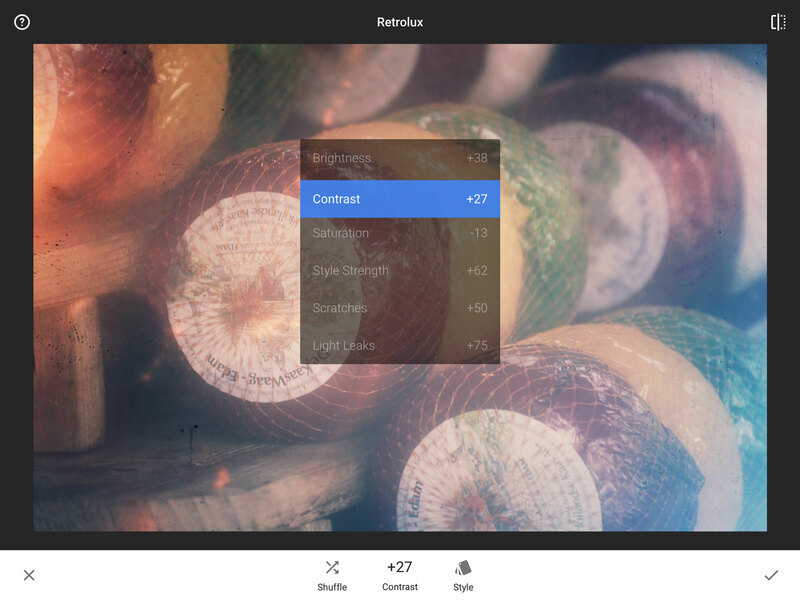 Annoyingly, Google discontinued the desktop version, which was a terrific little photo-editor and effects generator. The good news is, though, that the free mobile version is just as good and shows signs of a little more development effort than Google’s other Nik Software acquisition, the Google Nik Collection. In fact Google Snapseed is so good that it’s almost worth temporarily migrating images from desktop machines to a mobile device for editing and then sending them back. 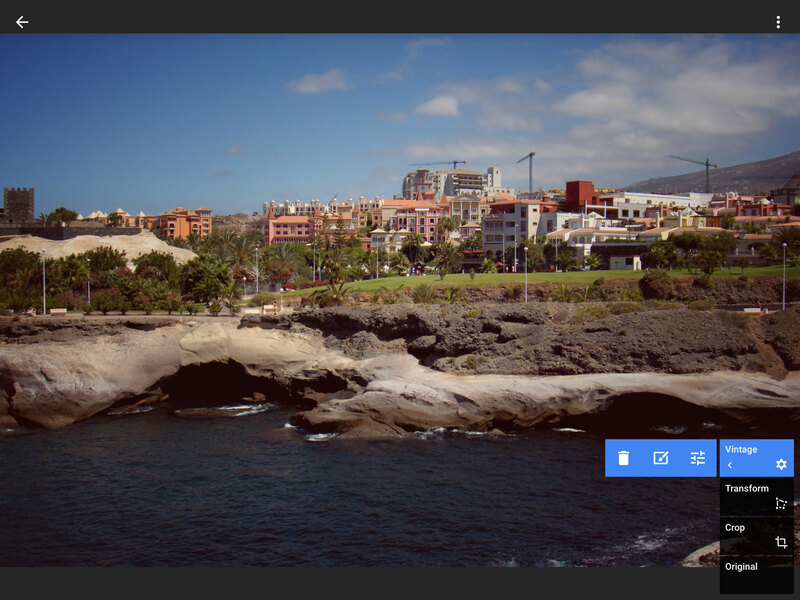 There are two ways to open images in Google Snapseed. If you’re using Google Photos on your smart device you can find the photo you want, open it for editing and then choose Open in Snapseed from the drop-down menu in the top right corner. If you’re using Photos on iOS, then you need to launch Snapseed first and tap the Open button top left – when you choose the Open from device option, you can browse through your albums. If you use Google Photos on your smart device, you can open images in Snapseed using the button in the top right corner. When you’ve finished editing your photo in Snapseed you can save over the original photo, save a re-editable Snapseed version alongside it or export a flattened JPEG. Once your image is open in SnapSeed it’s displayed full-screen with a histogram bottom left, an edit button bottom right and a collapsing ‘assistant’ bar down the right edge, just in case you need some help or instructions. In the top right corner is a Save button, an icon listing the number of effects layers you’ve added and a drop-down menu. 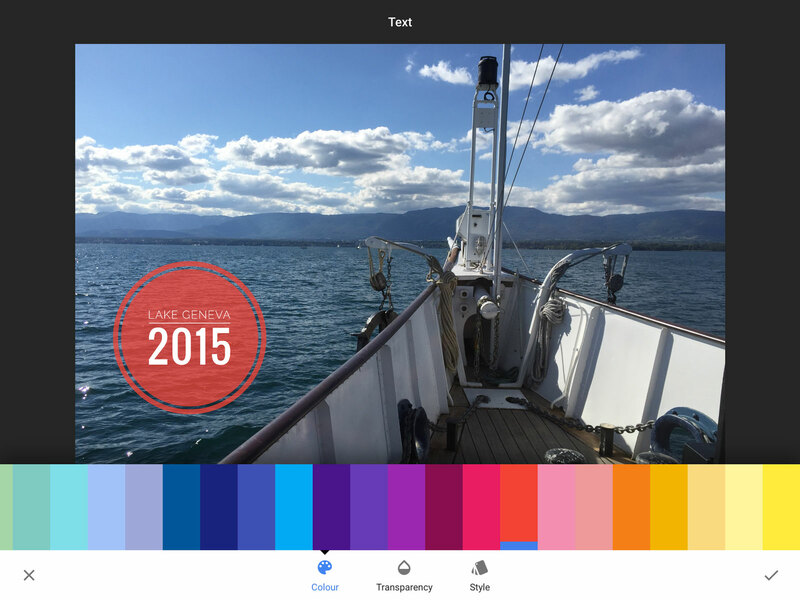 When you tap the edit button you’ll see Snapseed offers two sets of effects: Tools and Filters. The Tools are designed mainly for everyday photo enhancements and fixes, while the Filters offer a set of creative ‘Looks’. We’ll take a quick spin through each and save any detailed explanations for future tutorials. Google’s effects are split into two categories. You use Tools for regular image enhancements and repairs, and Filters for image effects and ‘looks’. 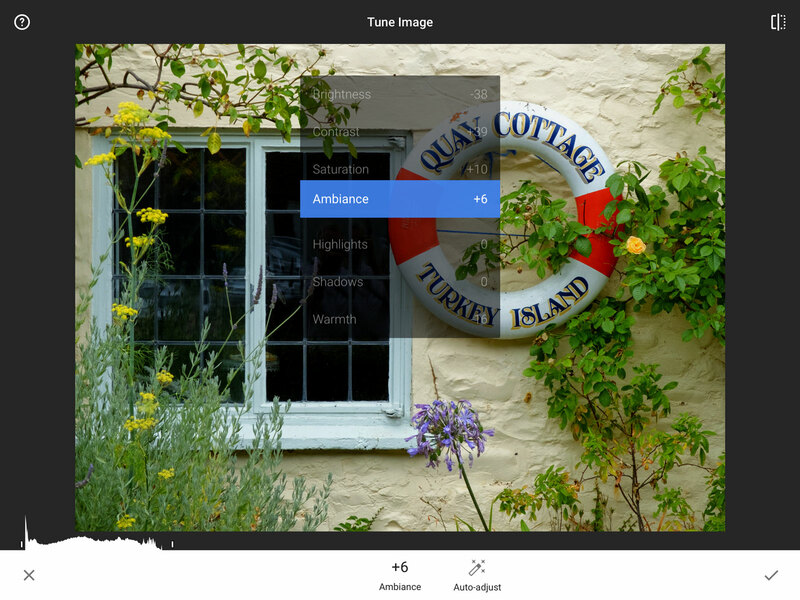 The Tune Image tool lets you adjust the image brightness by dragging left or right across the screen – the standard adjustment method in Snapseed – or, if you need a little help, you can tap the Auto-adjust button to see what happens. But this isn’t all it does. If you drag up and down on the screen you’ll see a bunch of other settings for Contrast, Saturation, Ambiance, Highlights, Shadows and Warmth. You need to check each tool for these extra options because this is where Snapseed reveals its power. So, if you like the result, tap the ‘tick’ icon in the bottom right corner of the screen; if you don’t, tap the ‘x’ icon in the bottom left corner. The Tune Image tool offers a whole bunch of everyday adjustments accessed by swiping down on the image. The Details tool has two adjustments – one for regular sharpening and one for Structure. Structure is a coarser definition enhancement which is really good for adding punch to flat-looking images and is becoming increasingly popular in image-editing tools. The Crop tool is pretty self-explanatory and comes with a bunch of aspect ratio formats. 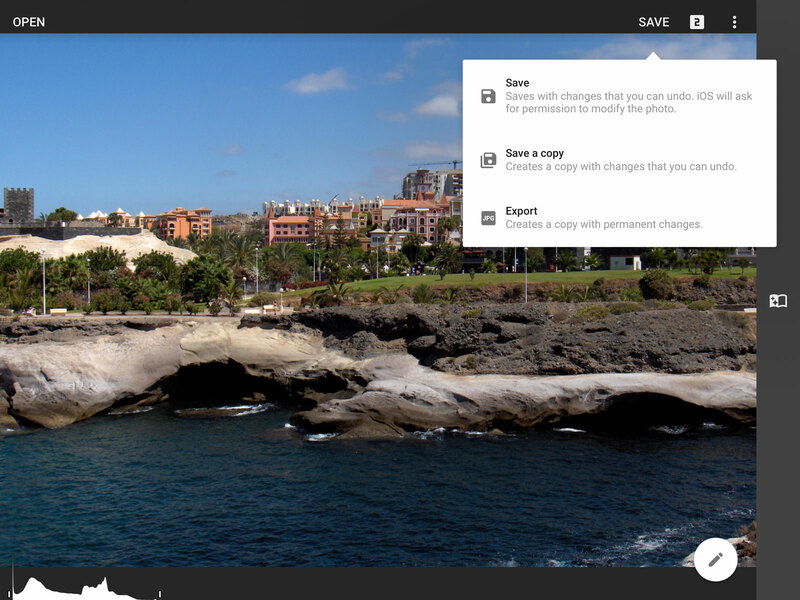 The Rotate tool lets you fix skewed horizons or verticals, rotate photos shot sideways and even flip them horizontally. The Transform tool is interesting, though, providing the kind of manual perspective corrections you get in Lightroom, DxO ViewPoint and Capture One Pro. You can apply horizontal and vertical perspective corrections and image rotation too – quite often, you don’t realise an image is skewed until you’ve fixed the perspective. The Brush tool is good for applying quick local adjustments to areas of the picture, with dodging and burning, exposure, temperature (white balance) and saturation. If it helps, you can tap the Mask button to see where you’re painting as a red overlay. If brushing is too vague for you, you can switch to the Selective tool, which uses the control points seen in other Nik software for automatically masking and tweaking specific areas. You can add lots of control points throughout the photo, each one with adjustments for Brightness, Contrast or Saturation. The Healing tool is pretty basic. You tap or paint on an object you want to remove from a scene and it attempts to fill in the area with details from the surrounding areas. At first it looks like it’s pretty much fit for nothing, with a huge brush and crude repairs. Then you realise you can zoom in with a two-fingered pinch action and the brush gets progressively smaller, and in fact it can be quite an effective and precise retouching tool. The Vignette tool goes a little further than most with a movable centre point. 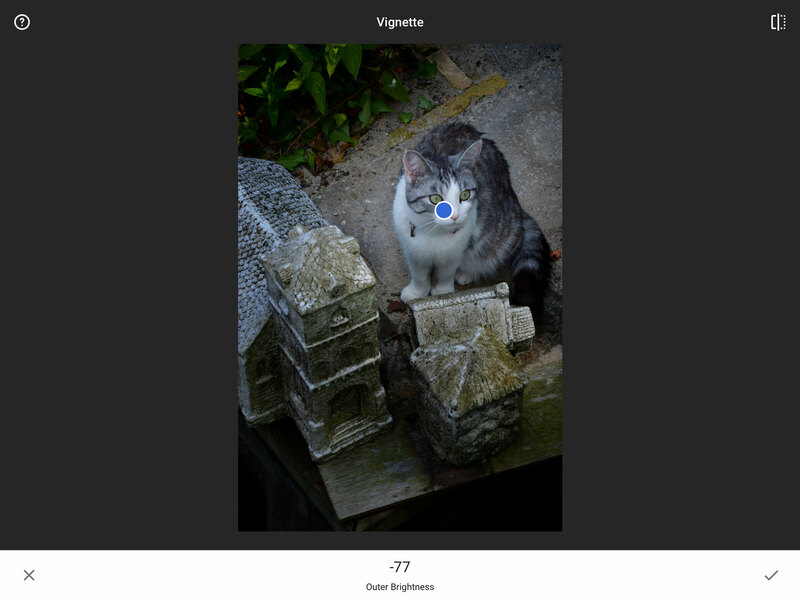 The Vignette tool goes further than many, such as the Post Crop Vignette in Lightroom, because you can move the centre of the vignette around the frame, change its size with a pinch/zoom action and adjust both the inner and outer brightness. It’s a simple and effective way to emphasise the focal point in a picture. The Text tool is rather cool too. If you’re expecting the kind of cheesy presets you get in Photoshop Elements and other mid-range image-editors, think again. There’s a decent little selection of contemporary looking text templates, each offering control over the size of the text block, its colour, position and transparency. The Text tool is a lot better than you might think it’s going to be, with some smart-looking typography and layouts and plenty of control over size, position, colour and opacity. So if the Tools are for image-enhancement and repair, the Filters are for special effects and image styles. These work in much the same way, with preset styles, menus and controls tailored to each effect. Each filter you apply is added to the layer stack – remember, that’s the number icon at the top of the screen. The Lens Blur filter is a remarkably simple tool for adding circular bokeh or linear tilt-shift effects. You can change the angle, blur and with of the blur fade with simple touch controls and there’s a vignette effect too if you feel that adds to the ‘look’. Why isn’t desktop software this simple? The Glamour Glow filter adds a controllable soft-focus effect with saturation and warmth control and works really well for dreamy landscapes, not just romantic portraits. The Tonal Contrast filter is more technical – it lets you adjust the contrast separately for the highlights, midtones and shadow areas of a picture and is useful for enhancing skies, for example, where they look a little flat and bright (as long as there’s still some highlight detail there, of course) or for giving dull-looking darker areas a bit of a kick. The HDR Scape filter gives a faux HDR look to single images – it doesn’t blend multiple exposures – but it’s actually pretty effective as long as your photo has full highlight and shadow detail and you don’t push the settings too far. The Noir filter gives a nice, aged monochrome look, though the Black & White filter gives more precise technical control. The Drama filter has lost a bit of its power in this version – long-time Snapseed fans will spot the difference – but it’s still very good for adding a gritty, desaturated look that suits urban landscapes particularly well. The Grunge filter is a bit of a lucky dip. It combines textured overlays with a vignette/bokeh effect and various faded film styles which you can shuffle randomly or select by number – it’s not immediately obvious how you do this until you realise you can swipe sideways on the image to spin through the numbers and find your favourites. It goes right up to 1,499, so you can’t complain about the choice. Grainy Film is OK. It gives you a choice of different film looks and the ability to add as much or as little film grain as you like. It’s not my favourite, but it could be useful. The Vintage filter is a lot more complex and a lot more interesting. 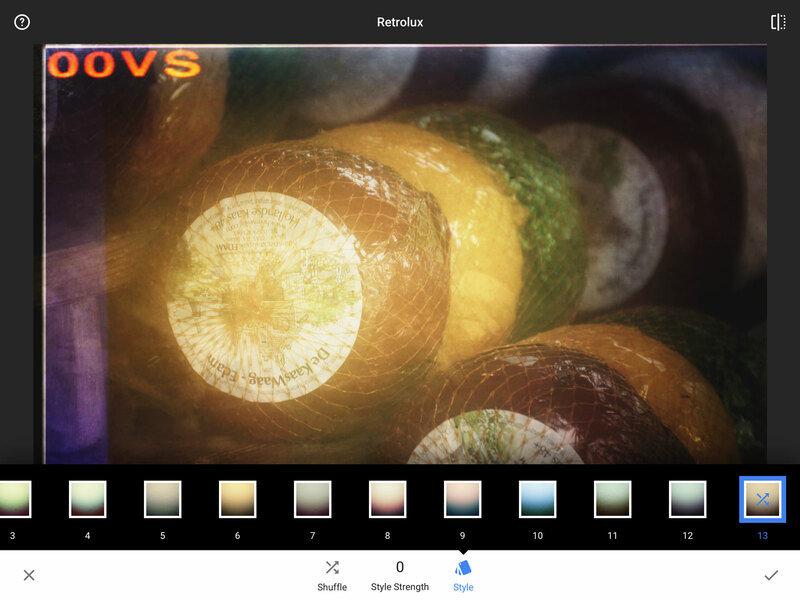 It offers a range of colour film toning ‘looks’ rather like those in Analog Efex Pro plus Brightness, Saturation, Strength and Vignette tools – you can also choose whether or not to include edge blur with your Vignette. It’s a nice way to add a bit of vintage style to your photos. The Retrolux filter takes this a step further, with colour toning looks again, Contrast, Saturation and Strength adjustments again, but this time with added Scratches and Light leaks. These are brilliant for adding an authentic analog look to photos that need a faded, ‘timeless’ look, though there’s so much randomness in the results that it can take a while to get the look you want and you may never be able to repeat it. The Retrolux filter gives some really nice-looking analog effects with plenty of control, but it’s decidedly random and tricky to replicate any specific effect. The Noir filter is good for a range of black and white retro looks, but if you want proper, technical monochrome control you need the Black & White filter. This has controls for colour (contrast) filters, Brightness, Contrast and Grain. I especially like the Frames filter. This offers a range of border effects, both black and white and clean/classic or distressed/darkroom style. They are a great way to finish off any analog-effect picture – just make sure you’ve cropped them to the right aspect ratio for display or printing so that you don’t lose any of the frame. Finally, there’s a new Face filter. I haven’t spent much time with this yet, and it only works if Snapseed finds a face in the frame. I’ll report back when I’ve tried it out a little more. So there’s a heck of a lot in Snapseed to play with, but just when you might be thinking it’s pretty impressive already, there’s more. Each tool or filter you apply is added as a new layer, and you can access all the layers you’ve created so far by clicking the layers button at the top right of the screen – the number tells you how many layers there are. Snapseed stacks up tools and filters in layers which you can go back to later, changing the settings and adding layer masks to limit each effect to specific areas. 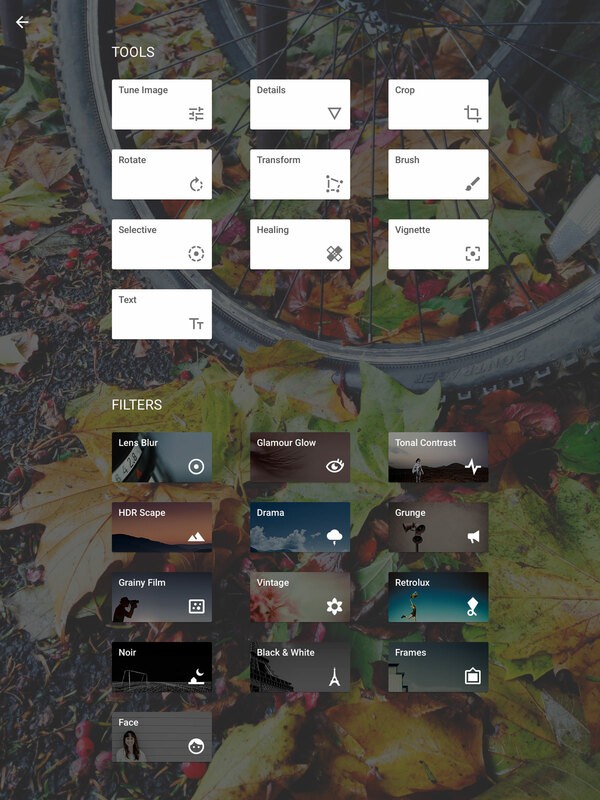 So when you tap this, Snapseed displays a list of your layers in the bottom right corner. You can tap on any one of them to re-adjust the settings, delete the layer or apply a mask to control the areas of the image affected. In practice, then, you’re not just getting an easy image enhancement and effects tool but a non-destructive layers-based image-editor. Your finished photos can either be saved back to your library as a re-editable Snapseed file (which can still be viewed by your other apps) or exported as a regular (flattened) JPEG. Is it any good and should you get it? 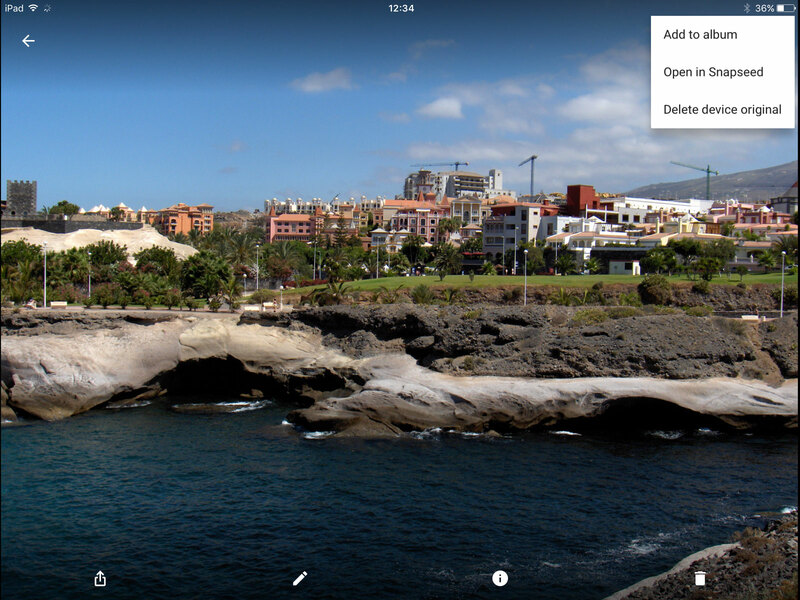 Frankly, even if Snapseed cost £50 I’d still be recommending it – but it’s free. If you intend doing any image-editing at all on your mobile devices, this brilliant application is a must-have. And if you don’t yet use your tablet or smartphone for image-enhancement, Snapseed could be the tool that changes your mind. 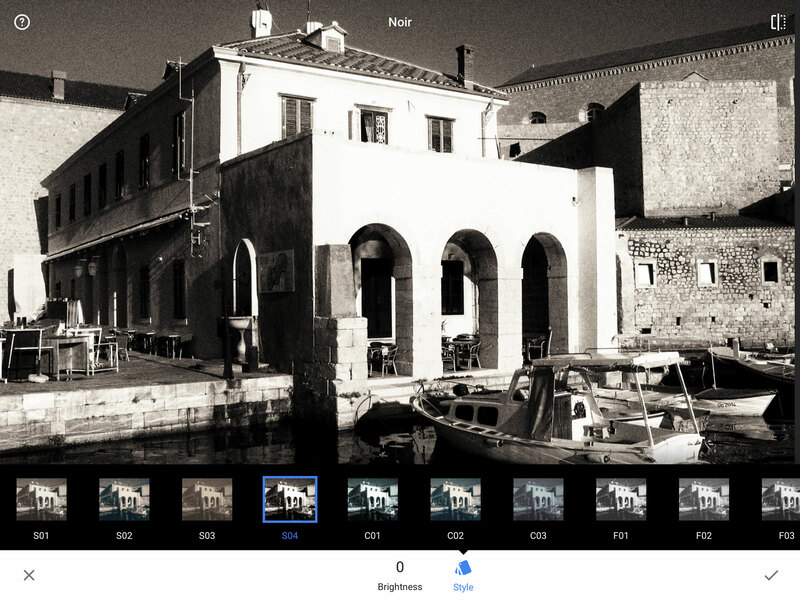 I have just one criticism – you can’t save presets or multi-layer effects recipes for future use in the same way you can in the Google Nik Collection. Snapseed is so powerful, so useful and so good at complex effects that you’ll constantly wish it did. As it stands, Google Snapseed is unquestionably a five-star app. If it could save presets, it’d have to be six stars!